Our fabric treatments protect canvas from Weather Extremes, Tropical Rains, Moulds, Rotting, Ultra Violet etc. We specialize in increasing the durability and applications of the canvas by utilizing special Ripstop Weaves and Unique Coating treatments, which we have designed indigenously from our long experience and customer feedback. The word canvas is derived from the 13th century Anglo-French Canvas and the Old-French Canvas. 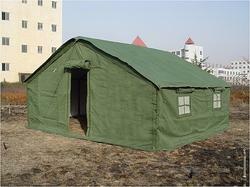 Tent Canvas Fabric has been used for hundreds of years for powering ships and providing shelter. We specialize in increasing the durability and applications of the canvas by utilizing special Ripstop Weaves and Unique Coating treatments, which we have designed indigenously from our long experience and customer feedback.